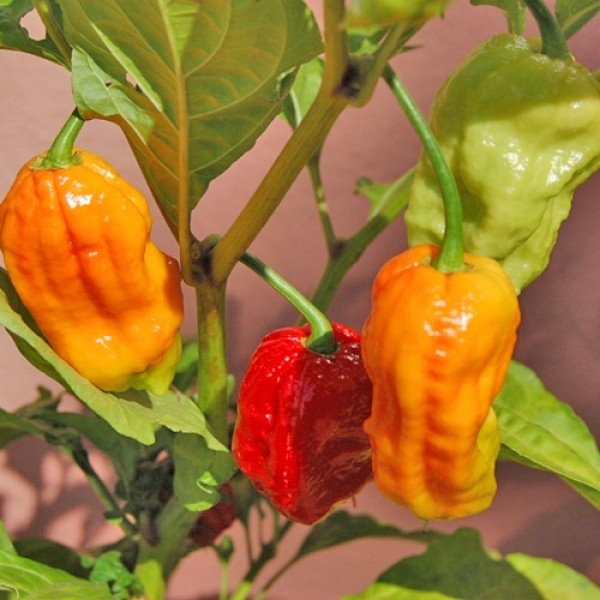 The Bhut Jolokia Red chili peppers have a fruity flavour, sometimes with a slight citrus note, and an intense, fiery spiciness. The fruity flavour is maintained after drying and tastes great in any chili lover’s favourite dish. Caution: Extremely hot!